Call Center IVR Solution, IVR Systems, Singapore. IVR Sys Hosted Solution is designed to scale up and down easily, quickly and cost effectively. Customer reminder is a task rarely followed up because employees are focused on running a business. If carried out effectively, has huge benefit for the business. Deliver real-time notifications to large groups of people located anywhere around the world. Build your own customised IVR Solution to help your business grow. Enabling your agents to deliver first class customer service. An IVR Solution that puts customers at the heart of what you do ! It’s a truth universally acknowledged that it’s cheaper to keep an existing customer than it is to acquire a new one. With our Call Centers solution you can deliver a great customer service experience that gives you an enviably low churn rate. After all, according to analyst firm Gartner, customer experience is one of the few differentiators that is hard to imitate. Frequently used on demand services such as FAQ, forms request, opening hours or etc are handled efficient by our IVR Self-Service application suite allowing customer service advisors to concentrate on delivering value added services. Provide a Click-to-Call feature on your website so that interaction is established immediately and at no cost to the customer. Integrate to your Business Computer System/CRM to provide important information to the customer service advisor at the time of attending the call. 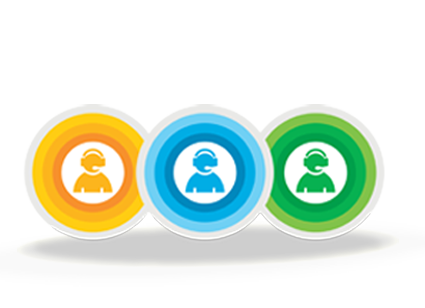 Call Center IVR Solution is ALWAYS ON and provides services 24/7, at no additional cost. Take advantage of automatic call routing to distributed call centers around the world. Calls can be routed depending on resource availability, cost-per-call or operating hours in different regions. An IVR telephony survey system has the enormous benefit of requiring no agent participation. It is, in the main, entirely automated and works by performing an automated IVR call to the customer to conduct your survey. Our Call Center solution features a simple but robust telephony menu structure which is easy to use and understand. This reduces the rerouting of calls between advisors caused due to incorrect selection of menu option by the consumer. Use a common keypad input or voice recognition to route calls efficiently. Inputting through the keypad is pretty straight forward while voice recognition is a relatively new technology and is more versatile to the range of interactions and functions it provides. Interact with your customer in the language of his/her choice. The language can be determination in several ways, through user input selection, region/country where the call originates from, or etc. Calls are tracked and important information such as (caller number, duration of calls, attending agent details) is stored in the database for future analysis. This information can be used to to optimize work load, increase efficiency, and improve quality of service. IVR Systems is part of Lantone Systems and has been providing IVR Solutions since 2004. Over the years, we have built a strong team with a vast amount of experience in delivering solutions across multiple industries. Copyright © 2013. IVR Systems. All Rights Reserved. Please provide your contact details and we will connect you to an agent as soon as one is available. This service is only available for Singapore Customers.